Because learning does not take place exclusively in the classroom, Truman Residence Life offers undergraduate students the opportunity to live in one of our on-campus living-learning communities (LLCs). These are specific communities within our residence halls for students who share common academic goals or interests. Students in these communities live in a residence hall together and participate as a group in various activities revolving around a central theme. In addition to community building opportunities, residents in LLCs also have the opportunity to participate in out-of-the-classroom learning activities such as interactions with faculty, service projects, field trips, speakers and other theme-based social events. Truman’s Living Learning Communities are split among Missouri Hall, Blanton-Nason-Brewer Hall and Ryle Hall. These locations are ideal for learning communities because of the close proximity in which the students live to each other, their Student Advisors and the Hall Director. 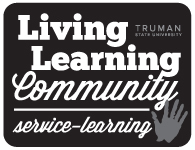 Residence Life is partnering with Truman’s Education Department to provide a unique learning opportunity for residents. Residents of the Future Teachers Living Learning Community have the opportunity to participate in a variety of events and out-of-class learning experiences. This community encourages the development of student-professor partnerships with the education faculty and growth within the field of education. 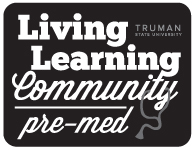 The Pre-Med Living Learning Community consists of first-year students planning to go into the medical field. This community offers interested students the opportunity to live, network and study together in a suite-style community. Programming focuses on undergraduate academic success, medical school application processes, and medical specialization exploration, as well as other various topics pertaining to the medical field. The Romance Languages Community consists of first-year and upper-division students who have a strong interest in Romance Language courses offered at Truman. Residents in this LLC have the opportunity to form close connections with Romance Language faculty and practice their language skills at home. The Service Learning Community consists of first-year and upper-division students who have a passion for helping others. Residents in this house have the opportunity to participate in a variety of service experiences that develop leadership skills and foster civic engagement. The community encourages the development of social awareness and global responsibility, while promoting active participation in service-learning opportunities. The Sustainability Living Learning Community is home to first-year and upper-division students. As a member of the Truman State University campus, this community of scholars is devoted to the principles of preserving our planet, our people, and our prosperity and endeavors to learn about, share, and contribute to the efforts of sustainability locally, nationally, and globally. The Sustainability LLC hopes to be instrumental in the growth of the sustainability movement at Truman. Truman’s Transitions LLC is a community focused on helping students successfully acclimate to life on Truman’s campus during their first year at Truman. This community works to foster not only strong connections with the residents in the hall but also with faculty and staff around campus who are available to provide aid, advice, or extra support during each student’s first year on our campus. This community is focused on transfer student needs to assist with transitioning to Truman.